Since full details of promotions at Morrisons are not always readily available, we don't feature their wine very often on this site. That is a pity as their good buying team is very effective and unearth good wines at pretty reasonable prices. So, to help MidWeekers who regularly shop at Morrisons, here are a handful from their current range that I rate for quality and value. In addition, today’s post includes the usual Best of the Rest feature (from Co-op and Tesco this time) and the first Sunday Best list of 2019. As ever, you can use the pictures next to description of a wine to help find the wine in store. Italy’s Marche region – on the eastern coast around Ancona – is especially well suited to verdicchio vines and, now that yields seem more rigorously controlled, good wines like this are clearly in evidence even at basic levels. 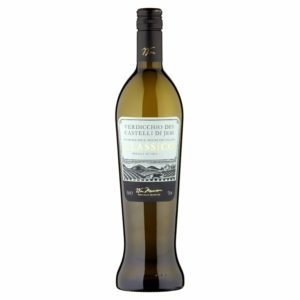 Note the typical nutty background to 2017 The Best Verdicchio dei Castelli di Jesi (£6.50 at Morrisons and 12% abv) and the way it merges well with the wine’s subtle, light bodied apple and sherbet lemon fruit and the peach based ripeness, but nippy acidity, that accompany it. My “Magic Bullet” section steals that term from the medical profession where it signifies something delivering benefits without side effects. Here, it indicates wine that tastes good and makes you look savvy but avoids the side effect of wallet damage. Chardonnay in an unusual guise. Because chardonnay can thrive in so many different climates, its wines can range from the serious, complex and substantial to easy drinking, undemanding versions like this example from Chile’s Central Valley. 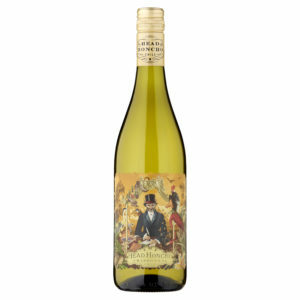 Light relief (literally) neatly summarises 2018 Head Honcho Chardonnay (£6.50 but “two for £10” in some areas and 12.5%) where depth and texture go on the back burner in favour of bold acidity and brightly attractive fruit (notably flavours reminiscent of melon, lime and pineapple Opal Fruits). Regular subscribers will know of my fondness for the depth and complexity that Rhone whites offer but here is a tasty marsanne-led blend from the southern hemisphere – South Africa in fact – that also contains a dab of grenache and macabeo (Rioja’s viura). 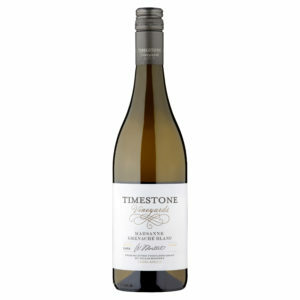 It’s no surprise, therefore, to find savoury based texture in 2017 Timestone Marsanne Grenache Blanc (£10 and 13%) where that element admirably supports the wine’s red apple fruit and pithy lime acidity. Climb a rung or two up the quality ladder from entry point malbec and you can find some excellent versions that are well-made and embody extra substance yet remain (like this) reasonably priced – and here there is also a 15% cabernet contribution (a mixture of franc and sauvignon). 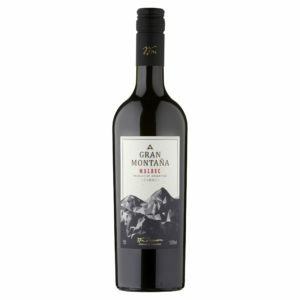 Touches of blackberry join the customary soft, raspberry fruit in 2017 The Best Gran Montana Malbec (£7.75 and 13%) which, in turn, is nicely supplemented by chocolate elements and good acidity but, as is usual these days, little tannin. I recently praised the Co-op’s unblended monastrell (mourvedre) from Spain’s Jumilla region but here is another excellent version – and brilliant value on this current promotion. 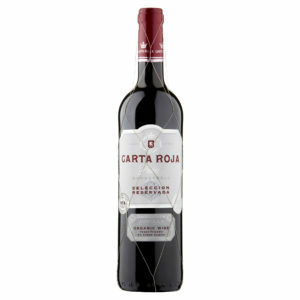 Fresh yet mellow, 2016 Carta Roja Pura Organic Monastrell (£6 – instead of £7.50 until 5 March – and 15%) has firm tannin but that is actually a good complement to the wine’s herbal, blackcurrant and cherry fruit which is kept nicely fresh with lively acidity. As this red has appreciable aging potential, it can seem a little closed and its tannin a little firm when you first open the bottle. So, if you are drinking it straight away, decanting is recommended; but nothing elaborate – just slosh the wine (from a reasonable height) into a big jug and then back into the bottle. 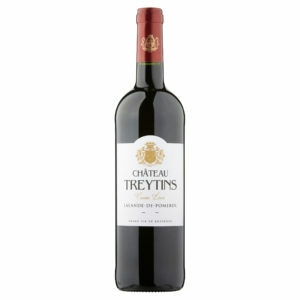 Do that, and you will find that 2016 Chateau Treytines Lalande de Pomerol (£12 – instead of £15 until 5 March – and 13%) rewards you with soft, cherry and raspberry fruit embellished with suggestions of aniseed, mint, mocha and (courtesy perhaps of its cabernet franc component) graphite – along with a food friendly twist of residual tannin. Not all Co-op stores stock this Chilean white from Concha Y Toro’s entry level range – Frontera – but, if your local branch does, it is well worth trying this non-vintage muscat delightfully embellished with supercharged zippiness. 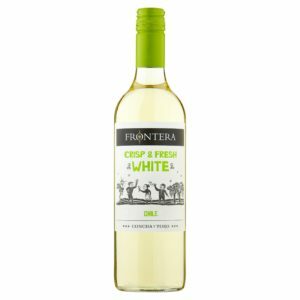 While its texture is light with underpinning sweetness, Frontera Crisp and Fresh White (£5 at the Co-op and 12%) has zingy, pithy, grapefruit acidity that powerfully enlivens its vaguely floral, orange and ripe melon fruit backbone. It is noticeable that inexpensive chianti is broadening its popular appeal by reigning in the tannin and keeping alcohol levels low – two features clearly evident here. Nevertheless, there are still plenty of those classic dense, concentrated versions about that work so well with food (and long may that be so) but this cross-over style could draw in many who instinctively head for New World reds. All the characteristic nutty, black cherry and graphite framework appear in 2017 Chianti (£5.25 at Tesco and 13%) but its texture is light, its tannin modest and the fruit lifted and given touches of plum and loganberry. Now that finances may no longer be maxed out by Christmas, here are a couple of “Sunday Best” selections for those special occasions when events call for something a step up from the “MidWeek Wines” that constitute this site’s primary focus. 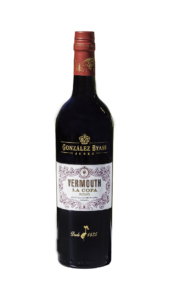 Combining the recent sherry revival and (apparently) the next “big thing” – vermouth – Gonzalez Byass have resuscitated this sherry based vermouth that was discontinued many years ago. It will divide opinion – drinkers that naturally gravitate to the fino end of the sherry spectrum, and with little enthusiasm for cocktails, are unlikely to be bowled over. However, those who enjoy oloroso sherry or Martini Rosso will love the way that La Copa Vermouth Gonzalez Byass (£13.26 at www.thedrinkshop.com and 15.5%) adds a well-judged bitter edge to its cream toffee base, enlivens it with clove centred nuttiness and wraps it all in sweetness that stops well short of being cloying. East of Avignon, you hit the Ventoux part of the Southern Rhone wine region where higher (and, hence, cooler) conditions are yielding up an increasingly interesting and impressive range of both red and white wines. Syrah and grenache (in about a 4:1 ratio) form the basis of the substantial and concentrated 2016 Chateau Pesquie Quintessence (£15.50 at Fine and Rare – www.frw.co.uk and 15%) with its smooth plum, cherry and raspberry fruit, gentle acidity, soft tannin, hint of sweetness and suggestions of mint, vanilla and clove. 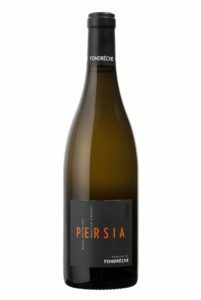 Classic, savoury edged, Rhone white wine seems a pretty good summary of the roussanne led 2017 Fondrèche, Persia Blanc (£18.99 at www.cadmanfinewines.co.uk and 13.5%) with its complex apricot and ripe pear fruit, quince and spicy richness yet contrasting and well judged lemon acidity too. I have a question unrelated to the above wines. I recently bought a bottle of Bellingham Bernard Series Basket Press Syrah 2015 and very nice it was too. I noticed that the wine consisted of 98% Syrah and 2% Viognier. Can you tell me what effect 2% Viognier has on 98% Syrah? Sorry for the delay Ron but I missed your question – and a damned good one it is too. The tradition of adding a dash of viognier to syrah started in the Northern Rhone. Despite being a white grape, viognier is floral, fruity and textured and, consequently, is used to add all those qualities to the syrah. As you have discovered, the idea has been taken up elsewhere nowadays and I remember that excellent Australian producer Tim Adams telling me he actually plants viognier vines at the end of each row of syrah (shiraz thereabouts of course). They are then harvested together and co-fermented rather than blended later in the wine making process. In fact, I think that co-fermentation is a legal requirement back in the Rhone.